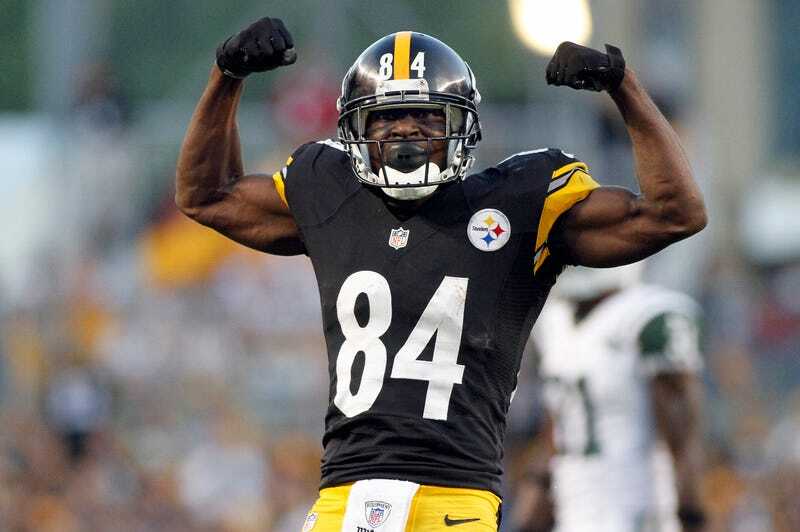 With Christmas right around the corner, Pittsburgh Steelers wide receiver Antonio Brown was feeling extremely generous, and on Tuesday he donated $100,000 to the Children's Hospital of Pittsburgh, according to TMZ Sports. The Steelers superstar posted an image of the donation on Snapchat in hopes of inspiring others to do the same. Antonio Brown shows off his hefty donation to Children’s Hospital of Pittsburgh. TMZ Sports notes that the wide receiver has a history with the hospital: He hosted a softball game earlier this year to help raise money. Who doesn't love an inspiring story about giving back? Hats off to you, Mr. Brown.